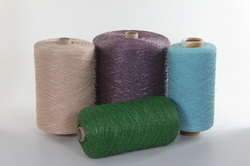 Providing you the best range of fibc stitching thread 3500 d / 5000 d, polypropylene homopolymer yarn, cable filler yarn, pp fibrillated yarns, vegetable support twine and trellising twine thread with effective & timely delivery. 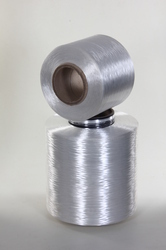 Polypropylene Homopolymer Technical Fibrillated Yarn extruded in a state of the art slit film tape with a dual stretch system which imparts high stretch thereby reducing elongation and low shrinkage is achieved. The yarns are passed on a set of annealing rollers where in heat setting of yarns takes place and yarns are twisted to achieve the desired TPM. 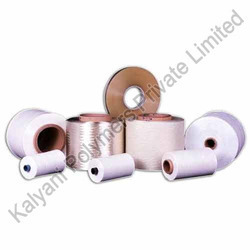 Cable fillers Yarn are Polypropylene homopolymer fibrillated yarn which aids in cable construction by filling the void spaces in the cable by occupying the gap created due to the cable construction of more than one conductor. We can offer zero halogen flame retardant fillers and flat twisted forms as well. We offer a wide range of PP Fibrillated Yarns to our clients. These are manufactured using premium quality polypropylene. PP fibrillated yarns posses features like low shrinkage and color fastness. 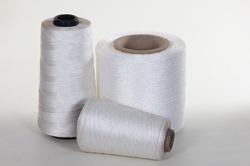 Our pp fibrillated yarn finds application in various industries. We ensure the quality of these pp fibrillated yarns by vigilantly testing them on well defined quality parameters. These products are available at reasonable prices in the industry. PP fibrillated yarns from Deniers as low as 360 to as High as 4000 Deniers with Both types of Honey Comb and Diamond Fibrillation, and Tenacity from 3.5 GPD to 6 GPD is manufactured with the state of the art machinery from Burkhart. we can customise colours / yield/ and specifiation for large orders. We are the leading Manufacturer of Crop Supporting Trellising Twine and Polypropylene Twine. Our entire product range is highly appreciated by our valuable clients for its high-quality standards and uniform thickness. We manufacture and export Fibrillated Yarns which are developed for smooth flowing of the yarn in any kind of sewing machine. Fibrillated yarns are very light weight and strong. These fibrillated yarns are available in different shapes, sizes and also different designs. These are available as per the specifications and requirements of our clients. Clients can avail this at affordable price. 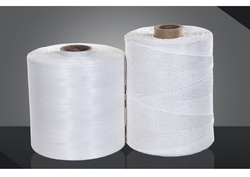 We bring forth Binder Polypropylene Yarns that is being used for binding of cables. These are specially designed and made under the leadership of our expert professions that are made to meet the demands of our esteemed clients. These yarns have a GPD from 6 to 9. 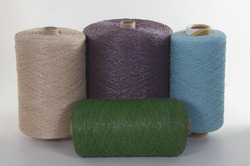 Binder Yarns are offered in polyester, nylon. 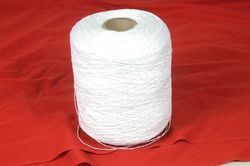 Binder Yarns are also being made on customer requirement. Some of the best features are durable superior quality and high strength. 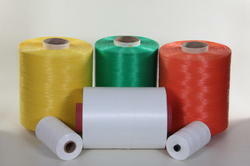 Polypropylene Thread is available in different colors. 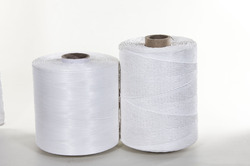 We offer pp tapes for geo textiles and filter fabrics in a rage of 1.5 to 3.5 mm. These are available as per the needs of our clients. 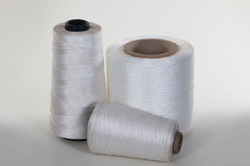 Polypropylene Threads offered by us are of good value, strong, light and durable. These threads are lighter in weight than polyester threads. Clients can avail these stitching threads at reasonable price. The Ply can be varied to enhance the Breaking Load, and also the Twist Per Inch can be Specified to correlate with the Diameter of the Cord. 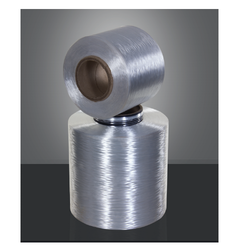 This high tenacity twisted stitching threads of polypropylene, with and without Oiling, has been developed for smooth flowing of the yarn in any kind of sewing machine. 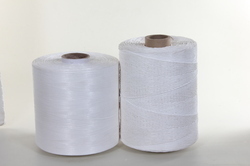 These stitching threads available in 12 Colors along the option of UV stability, is achievable according to individualistic needs of FIBS and Woven Sacks manufactures and Leno Bag Manufacturers. Used in High-Speed Stranding Machines, For all kinds of cables with customized special coatings and different makeups as per requirements. We are engaged in offering a wide range of PP Carpet Backing Yarns to our clients. Our range includes carpet backing yarns and artificial turf. These are available as per the specifications and requirements of our clients. The Polypropylene & Polyethylene tape yarns are available in range from 300 deniers to 15, 000 deniers, in colors, twisted or flat, soft or harsh finishes. Clients can avail this at affordable price. 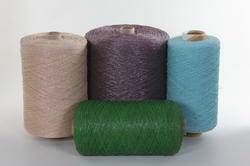 Looking for Industrial Yarn And Thread ?